Davis was born in Plymouth in 1890 and played for Oreston Rovers before joining Argyle in November 1913. 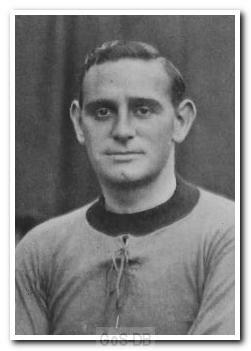 He had to wait until the following season to make his first team debut, and the outbreak of war then put his career on hold, although he did assist Gillingham as a guest player in the second half of the 1914-15 campaign. During the war Davis rose through the ranks to become a captain and at the cessation of hostilities returned to Home Park. He made just two further appearances, at right-back, before leaving for Newport County in 1920. He also went on to play for Torquay United.